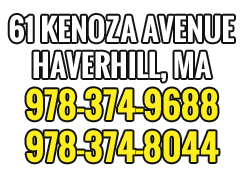 Mediterranean Pizza & Subs has been serving the Haverhill community delicious pizza, calzones, salads, pasta, seafood and Mediterranean dishes since 1969! Mediterranean Pizza & Subs is a popular family-owned and operated restaurant that has a wide selecion of tasty menu options from Greek-style pizza to subs or Syrians to roasted chicken, seafood and pasta dinners. There is something for everyone. We also offer take-out, delivery and catering 7 days a week. Visit us and see why our loyal customers come time and again. We look forward to serving you!